One of the benefits to being an adult gamer is being in control of your gaming budget. You know what you can and cannot afford, and can make decisions accordingly. As a kid, video games were gifts and they came at random. I asked for what I had seen my friends play and what Nintendo Power told me was cool. There were a lot of opportunities for games to slip through the cracks and past my attention. Most of my misses occurred around the time I was saving up to get a SNES. I didn’t have the means to be an early adopter and the system had been out for a number of years by the time I had one for myself. In my transition to the new console I skipped a few great games. Recently, it hit me like a ton of rocks when I realized I never played Mega Man X. For a series that I’m a huge fan of and one with as many sequels as Mega Man, I ended up being pretty set in my ways when it came to which games I played. My love began and ended for the longest time with Mega Man 2. I was too young to remember how/why I picked the game up the first time, but I rarely put it down once I had it. I played the game in every possible way, trying as many different paths through the robot masters as I could come up with. I had notepads filled with grids of continue codes to the point I lost track of how many times I beat the game. From time to time, I’d rent Mega Man 1, but it was too hard and I didn’t like the robot master designs. (Guts Man? Come on.) 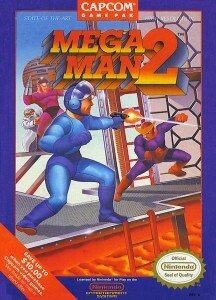 I also, got incredibly excited by Mega Man 3, but after a few rentals the game just didn’t thrill me like my original. After that, I stopped paying attention to Mega Man for a while. I saw the frequent sequels, but I assumed they couldn’t top 2. Where is my Metal Blade? Unfortunately, this closed-minded mentality carried over to the SNES. 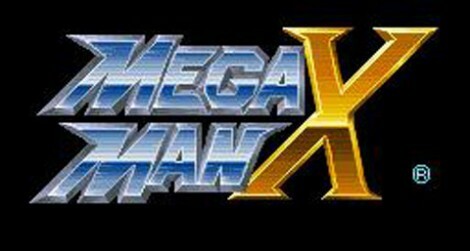 I saw Mega Man X a few different times, but I was already jaded about all of these “Super” named games and thought X was just Capcom’s way to make Mega Man more “Super.” I wasn’t buying it, and never gave it a chance. When I finally did try out the first level, I was confused by the extra moves that Mega Man had picked up. “Mega Man doesn’t wall jump, this mega-buster is unnecessary, and sliding is still stupid.” I was convinced Mega Man was forever broken and it would never be as good as it was. Boy, did I know it all at 13 years-old. It would be another 8 years before I touched another Mega Man game, keeping in mind I was still playing Mega Man 2 on emulators every now and again. 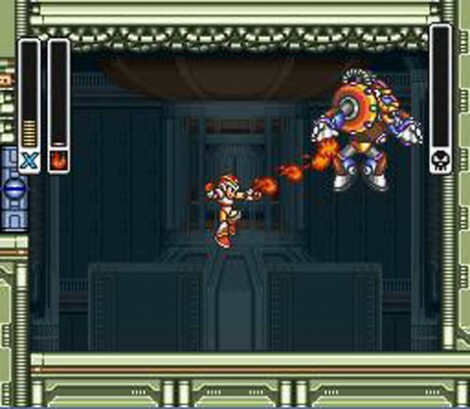 It took until the Mega Man Zero series debuted on GBA that I gave a “new Mega Man” a shot. I hated Zero at first. The difficulty curve on that one seemed ridiculous, even for the traditionally difficulty franchise, plus his pony tail was embarassing. However, a few months later I approached the game with a new mindset. The structure of Zero wasn’t meant to be like my classic Mega Man, but it was still beatable and fun. I started to learn the nuances, and grew to love a new Mega Man game for the first time in a decade. My affinity for the Blue Bomber rekindled, I branched out a bit more and fell just as deeply for Mega Man 8 and saw the benefits of a new generation of graphics for my favorite robot hero. Burn out soon set in. After venturing back into everything Mega Man, I think the difficulty of the Zero did me in. I never had the desire to explore the back catalog of the Mega Man library to find the gems I’d missed. As great as they all are individually, it is tough to play multiple Mega Man games in a row. Thus, Mega Man faded from my active playlist until much more recently with the new downloadable games Mega Man 9 and 10. With both of these games directly inspired by Mega Man 2, my dreams of the Mega Man sequels I had always wanted had come true. I was loving reliving my childhood gaming days and having the games destroy me with every new level. Alright, I'm ready to do this now. Still, Mega Man X remains untouched. A series that has developed its own following of Mega Man fans, and over the years became the “other” must-play Mega Man game right beside my classic Mega Man 2. In 2011, having the desire to play these games isn’t enough, acquiring the means to play without an emulator is a much more difficult feat. After pwrglove came onto our recent podcast and hyped the story and impact of Mega Man X, I was reminded of my big blue mistake. Frustration set in as I had no immediate means to quench this thirst. Just when I thought I’d move on and block out my omission once again, Capcom announced that Mega Man X is own its way to Virtual Console in Japan. It seems inevitable that the American release cannot be far behind, and maybe my shot at mega-redemption will be at hand. Dude, I had NO idea you hadn’t played Mega Man X… I definitely count myself among ” its own following of Mega Man fans.” I think I beat Mega Man X about as many times/ways as it sounds like you did for Mega Man 2. The story is pretty great and it was the beginning of Zero in the story and I’ve been a huge Zero fan ever since. I would absolutely count this among one of the must-plays of the SNES along with Super Metroid, Super Mario World, Link to the Past, and Mario RPG (if you’re an RPG fan). Ya, I’m about to reveal a lot of ugly with that series and my SNES days haha. Too many games to play! I agree with Alex–it’s definitely a must-play. Upgrading your armor makes you feel like a badass. Plus you can learn Street Fighter moves like the Hadouken and Shoryuken in the X series. So awesome. I played the first three X games to death and then backed off. I picked up Megaman X7 for PS2 though and it was terrible. I didn’t touch Megaman again until Megaman 9, where my love for Megaman was restored. I never got very far in it, but I was a big fan of Mega Man Legends as well, just for the fact that it opened up the storyline a bit more and felt a lot more open worlded.